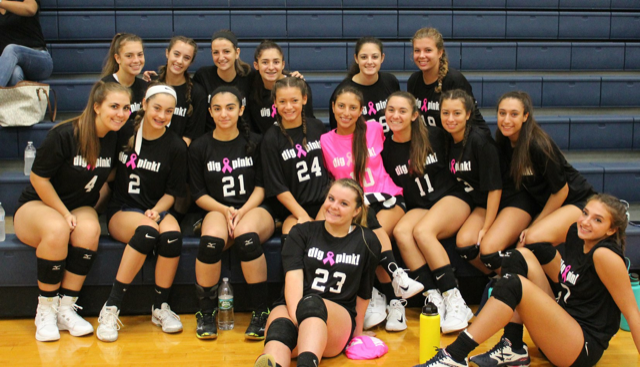 There are 300 girls at the Dig Pink event The ESM Team is 16 girls. We Help set up the event and clean up in between when we play in the tournament. Here is a picture of my team. Next weekend is the JV dig pink tournament and my team will be volunteer for that. We will set up, run the concession stand, sell shirts, and help with the tournament when it’s over we will clean up.